This book, originally published in 1989 discusses an issue central to all philosophical argument – the relation between persuasion and truth. The techniques of persuasion are indirect and not always fully transparent. Whether philosophers and theoreticians are for or against the use of rhetoric, they engage in rhetorical practice none the less. 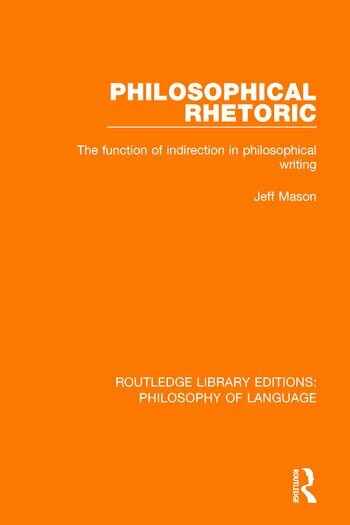 Focusing on Plato, Descartes, Kant, Kierkegaard, Nietzsche and Wittgenstein, this book uncovers philosophical rhetoric at work and reminds us of the rhetorical arena in which philosophical writings are produced and considered.